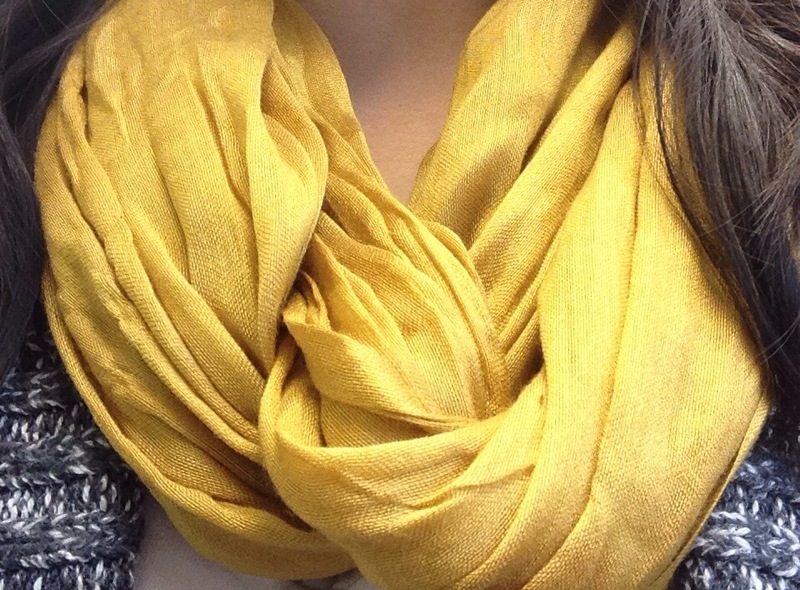 Wearing this scarf always reminds me of my sister. It was a great birthday gift and every time I put it on, it adds a punch of color to my (almost always) neutral outfit, and it makes me think of my little sis. If you surround yourself with the things you love, things that hold meaning, they aren’t just things anymore. I had a nice chat with my sister last night, and although we don’t live under the same roof anymore, or in the same state for that matter, she is always close to my heart. This scarf isn’t just a scarf, it’s a reminder of someone very special to me. As you can see that made her day! She was just saying how she needs to go see you. She misses you almost as much as I do.